The Barbican has announced a 66% year-on-year hike in business during its 2012/13 financial year, a trend it partly attributes to the launch of a dedicated business events division. Without disclosing actual figures, the London venue said that 2012/13 was its most financially successful year to date, excluding Olympics-related business, and was 4% above budget. The Barbican highlighted the contribution made by the launch of Barbican Business Events at the end of 2011, saying it has led to greater collaboration between the Barbican's commercial and arts divisions. Anthony Hyde, Barbican Business Events’ general manager, said: "The Olympics meant that the 2012/2013 financial year was always going to be above average, however the fact that we grew our regular business to such significant levels at the same time is a testament to the hard work displayed by the whole team - from sales and marketing to delivery, logistics and infrastructure. "Our expectation is to continue this success, aided by changes to the Centre, including the launch of Milton Court and refurbishments to the Garden Room, Conservatory and Terrace." Milton Court will offer a space for conferences, meetings, dinners and award ceremonies. 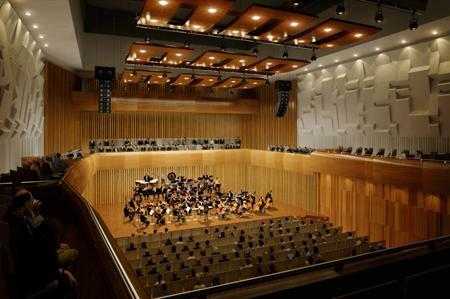 It will feature a 608-seat concert hall with retractable seating, a 227-seat theatre, a studio theatre and a TV studio suite.